Speeding up the implementation of the latest world experience and technologies, ‘Save the Planet’ has become one of the leading B2B events in Bulgaria, that deals with problems and solutions concerning waste management and recycling in South-East Europe. The high recycling EU targets aimed for a zero-waste economy and the urgent necessity for the improving the urban and industrial landscape through sustainable innovations drive the countries from South-East Europe to develop the sector. Despite the fact that the local market is in its early stage, it offers lucrative opportunities for foreign waste and resource management businesses. This three-day platform will attract key industry players from all over Europe and the effective format ‘exhibition – conference’ will create better interaction between exhibitors, visitors, speakers and attendees. ‘Save the Planet’ covers all aspects of waste management: waste collection, transport, treatment, landfill management and operations, recycling technologies and equipment. The 2014 edition features strong international presence - 69% of participants were from 10 countries. For 6th year in a row there will be realized an Austrian Pavilion. 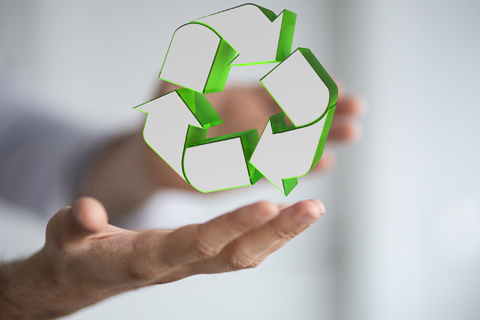 - ‘Towards a Circular Economy’ – European Network of Environmental Professionals session in which will participate experts from Abfall- und Recyclingtechnik – VDMA, ENEP, PNO Consultants, etc. - Processing and New Applications, the topic will be presented by Ton Emans, the president of Plastics Recyclers Europe.